The challenge for this dress was to incorporate fluffy trim into the dress, whilst keeping it washable. 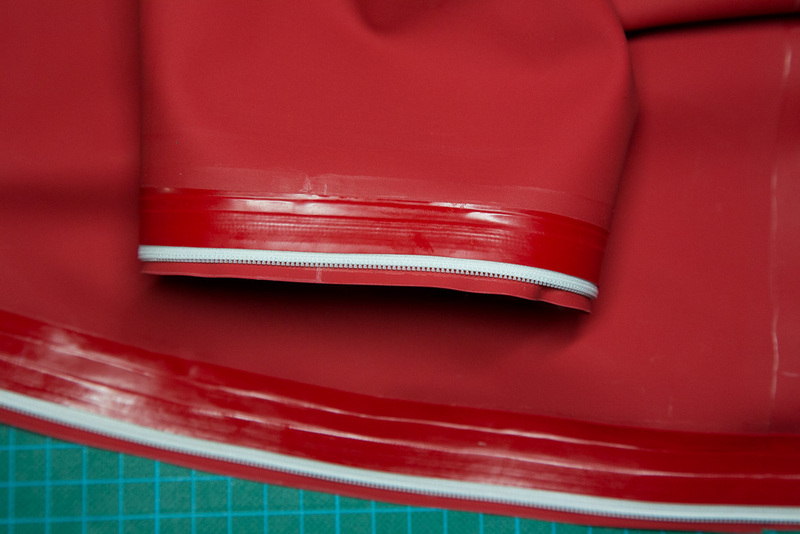 The solution was to use thin white open ended zips, one half attached to the dress and the other half to the trim. The trim can therefore be completely detached. 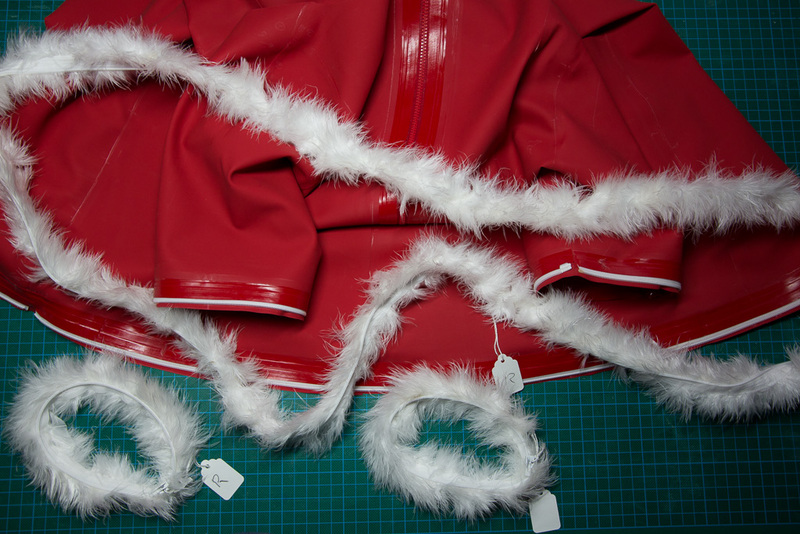 The pattern: Mrs Claus Dress 0.4 (iDraw) and Mrs. Claus dress 0.4 66x210cm (pdf). Also see: How to: Print patterns. The construction of the dress itself follows the same approach as the other patterns that I’ve posted and so is not repeated here. 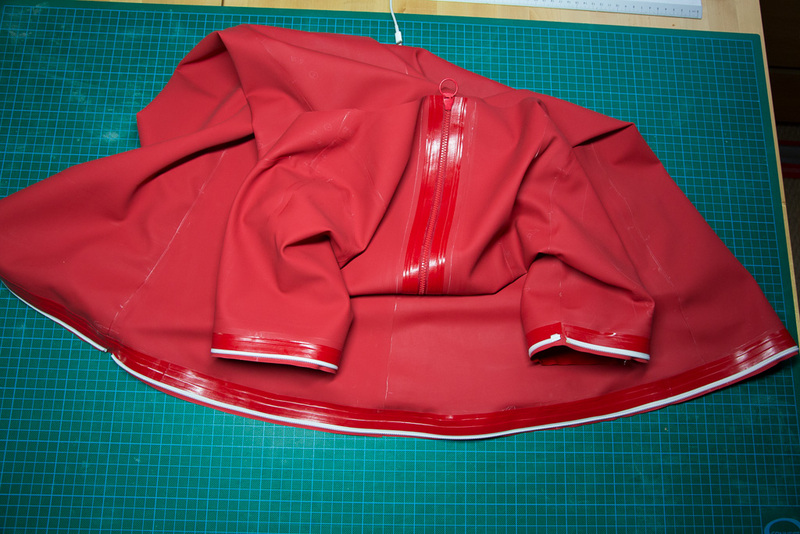 The attachment of the zips is not included in the pattern above – it only covers the dress itself. 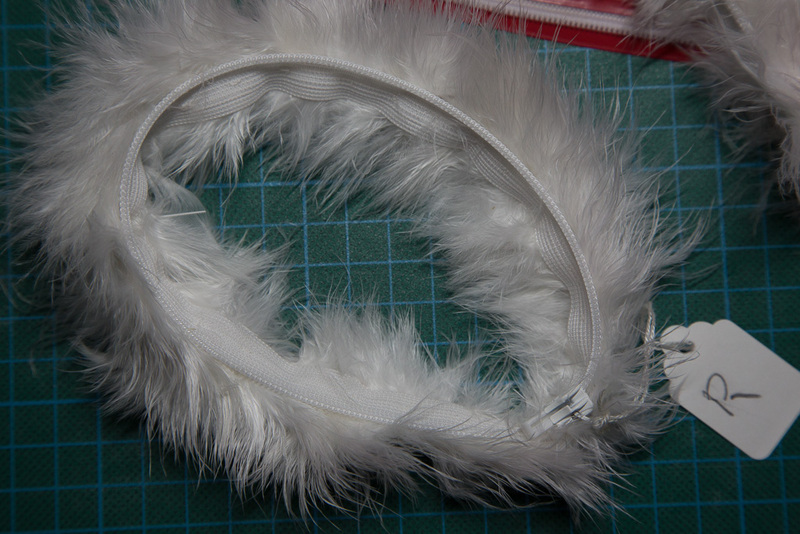 Four zips are required for the fluffy trim. One short one for each sleeve, and two long ones for the hem. The zips are ‘White Spiral Light No. 3 Drop Pull, Open End’ from Kleins (see suppliers). The fluff is ‘Marabou White’ from Abakhan Fabrics. I’ve set the zip back slightly from the edge as shown in the pictures below. The dress zip is therefore completely hidden. The other half of each zip is sewn to the fluff. Attention is needed to ensure that you have the zipper having the right way.